Fly into Phalaborwa via Johannesburg and transfer to The Outpost. 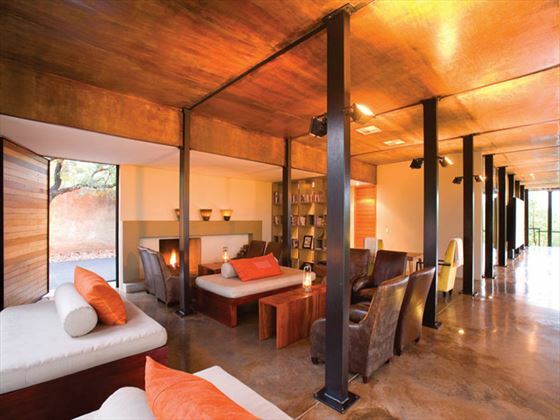 Situated on a hill overlooking the Luvuvhu River Valley, the views from this lodge are outstanding. 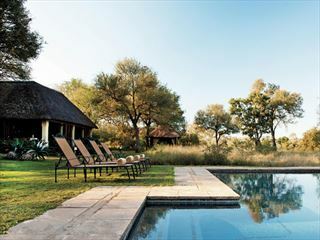 The portion of the park this lodge is located in comprises nearly 80 per cent of the overall landscape. 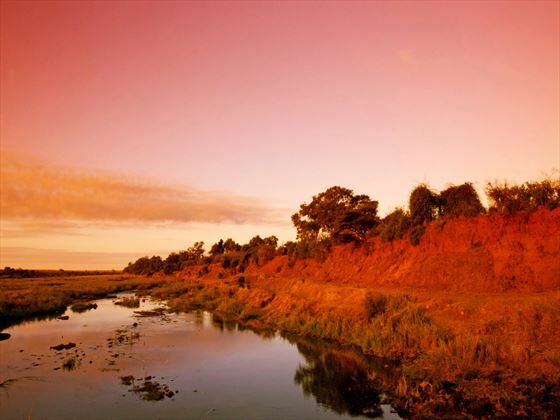 There are both game drives and walking safaris available, so you can be immersed in the beauty of this area. If you want to take part in history and village tours as well, these can be arranged for you. 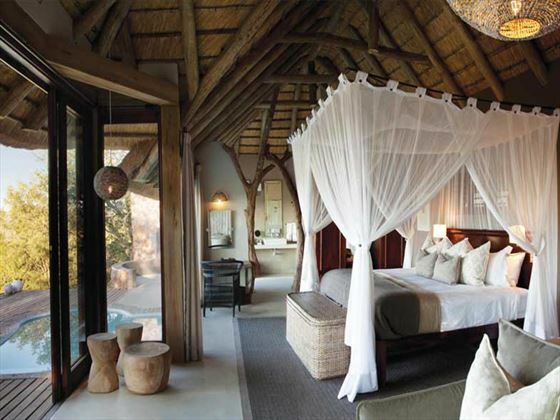 There are 12 standalone open-plan suites with stylish bathrooms, plush bedroom areas and breath-taking views. 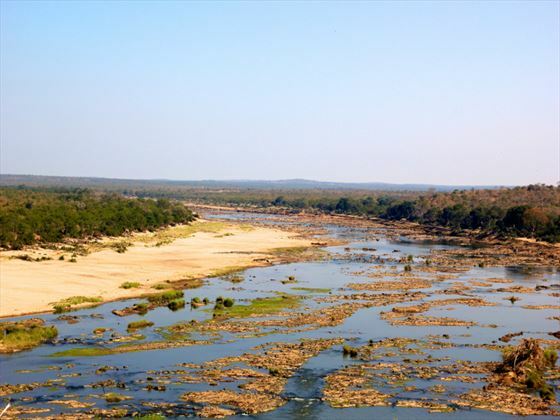 You’ll be transferred to the colonial Kings Camp Private Game Reserve which is located in the Timbavati Private Nature Reserve. 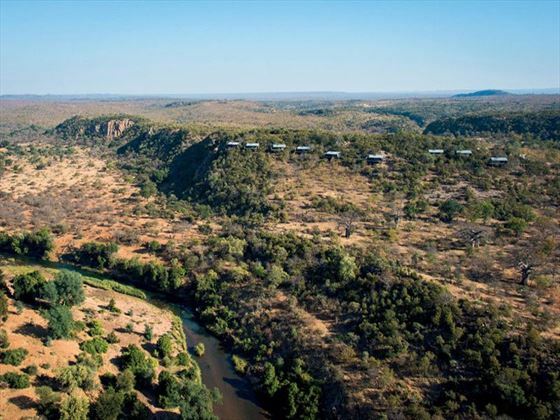 This camp faces an open savannah plain with a watering hole, for amazing wildlife sightings from the comfort of your suite. There will be time for morning and afternoon game drives in open safari vehicles, as well as walks through the scenery and birding safaris. 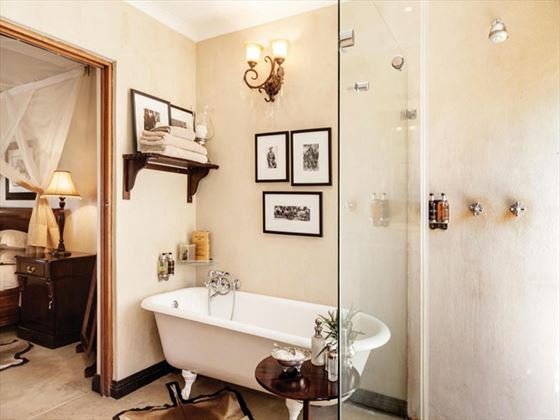 Each suite features a private veranda, in and outdoor showers, Victorian ball-and-claw baths and air conditioning, in addition to great views. En-route to Leopard Hills from Kings Camp, you’ll be transferred to Elephant Whispers where you’ll embark on a two-hour Elephant Experience. 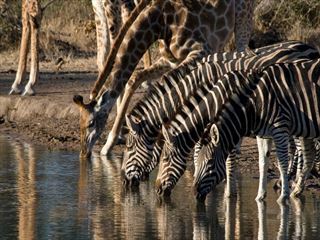 This includes interacting with these amazing creatures and enjoying a champagne picnic surrounded by the beauty of the scenery and the elephants. 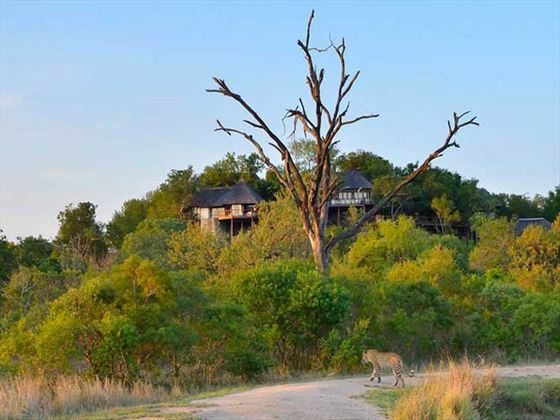 You’ll then reach Leopard Hills and will be treated to gourmet cuisine, luxury glass-front suites and private plunge pools. 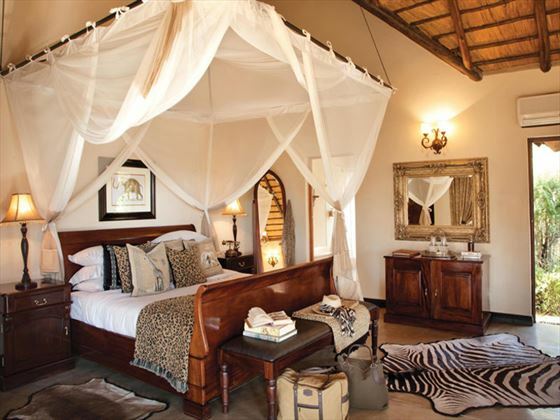 This lodge is situated amongst 10,000 hectares of diverse eco-systems, making game drives here fascinating. 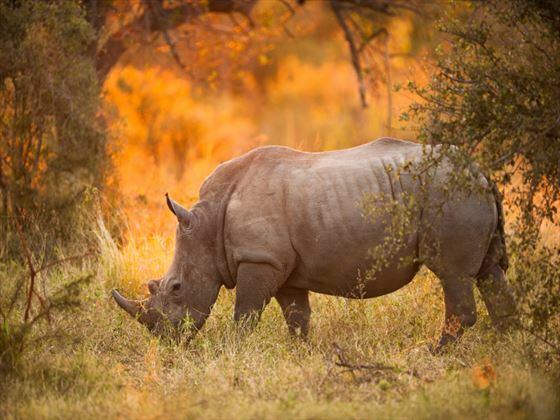 You’ll head out on drives with experienced guides who will help you seek out the Big Five and many other beautiful species. 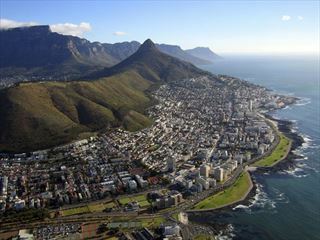 Depart from Leopard Hills and make your way to Johannesburg for your departing flight.